In 2017, after a troublesome 6 years and lots of delays in the process, Intel’s only competitor in the PC desktop market has woken up. AMD is back and they have a new core known as Zen which has put them back in the competition with performance on par with Intel CPUs. The performance gap that was increasing slowly but gradually between Intel and AMD processors has worn out and AMD can now tackle Intel on multiple playing fields. Problem number two for Intel is that AMD isn’t just stopping at mainstream platforms, they are for the first time entering the enthusiast HEDT segment. Their new lineup is called Ryzen Threadripper and features up to 16 cores. 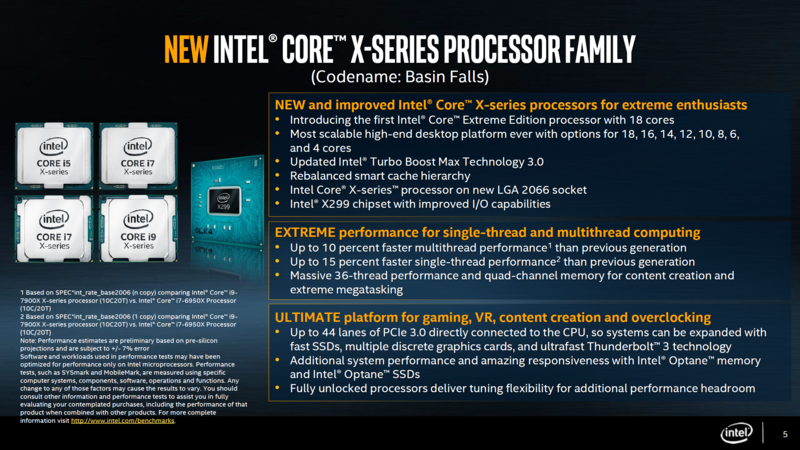 Now let me tell you something about the Intel X299 platform and the Core-X family. 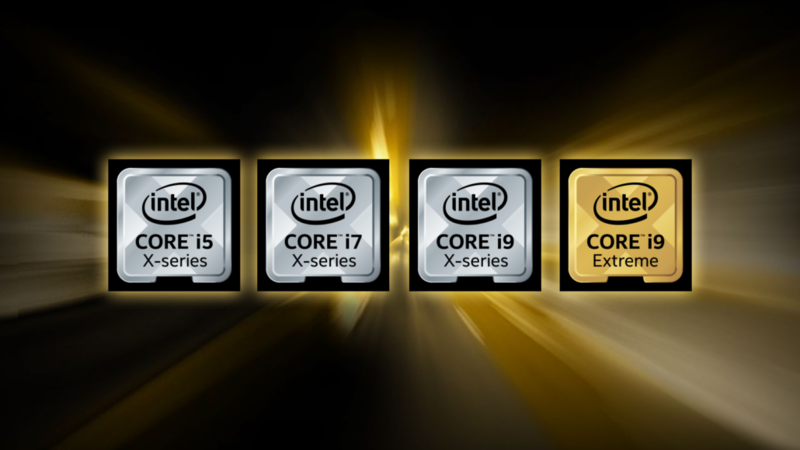 The Intel Core-X family includes several processors based on two different CPU architectures. 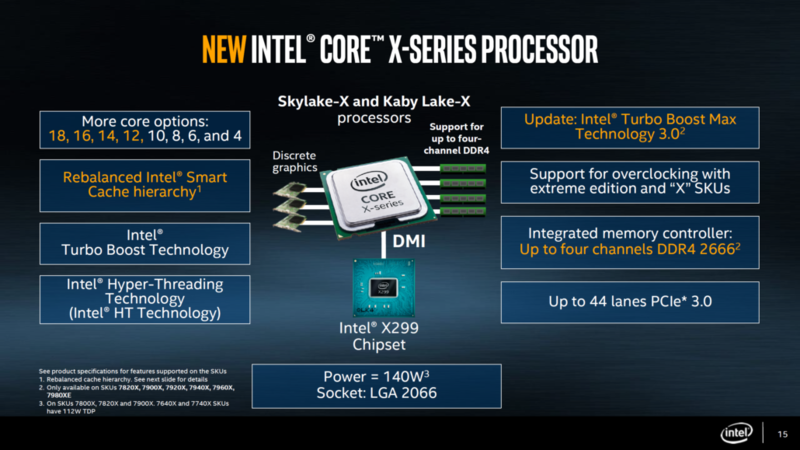 There’s Kaby Lake-X based on 14nm Kaby Lake and Skylake-X based on 14nm Skylake. The former is more of a budget aimed series while the latter is where the HE (High-End) part of the HEDT brand lies. That happened much later in the X299 production roadmap, to be precise, it was just a few weeks before launch and Intel knowing that AMD won’t stop at 12-16 cores and that they can re-purpose higher core Xeon variants into HEDT parts, Intel gave the go-ahead to their engineers. What does this show? Intel finally facing the heat of competition and it might turn out to be good for us all. Competition prompts companies to release products that are better than their competitors at great value and both Intel and AMD would try to best one another at this game in the long term. It’s 2018 and AMD has already launched their 2nd Generation Ryzen Threadripper processors which offer even higher core counts. Intel, on the other hand, will be refreshing their X299 PCH platform with up to 22 core processor models and new AIB boards. 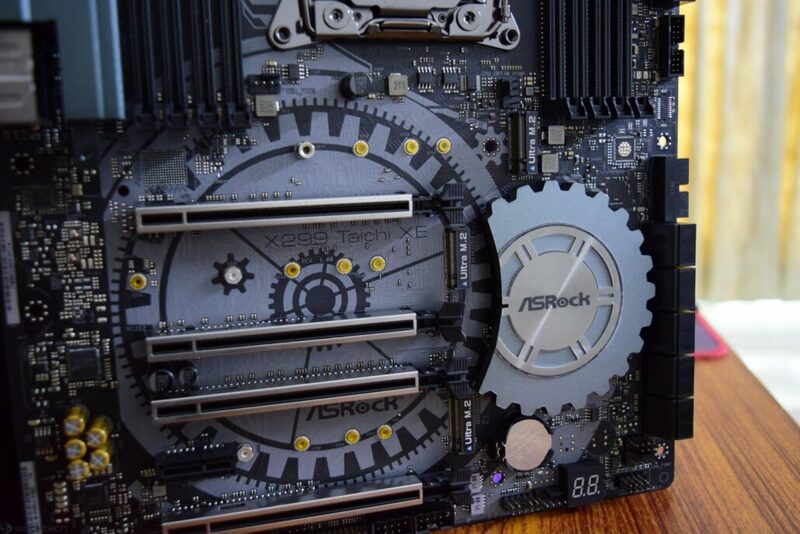 Listening from the feedback that was received with the first iteration of X299 products, ASRock released the “XE” series X299 motherboards, featuring vastly better power delivery systems and updated cooling designs. Today, I have the chance to check out the ASRock X299 Taichi XE motherboard which is an improved upon version of the ASRock X299 Taichi which I reviewed here. 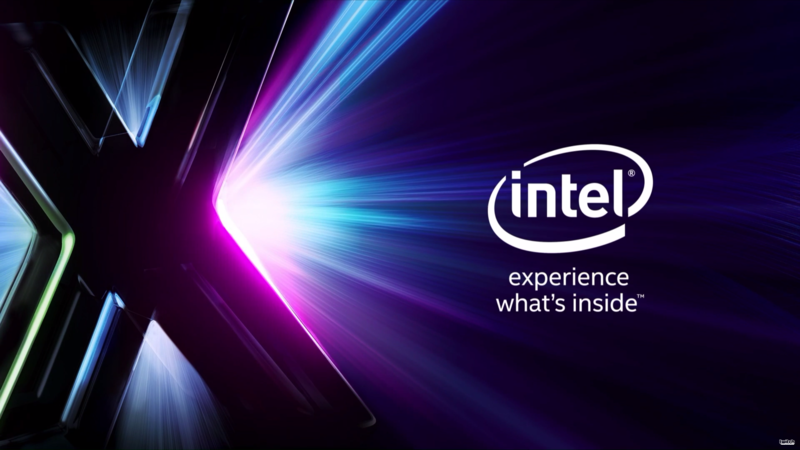 The Intel X299 HEDT chipset is powering the enthusiast platform in this year’s launch. It’s easy to tell given the time frame these enthusiast platforms last that the chipset will run for at least 2-3 years before being replaced by a new one. Intel’s X299 chipset includes support for both Skylake-X and Kaby Lake-X processors but the latter have been discontinued due to poor market response. Intel’s new X299 chipset will be the latest PCH to support the enthusiast processors. The X299 platform will be centered around the LGA 2066 socket which will be compatible with at least two generations of processors. In specs, the X299 chipset offers up to 24 PCIe Gen 3.0 lanes. The chip also offers up to quad channel memory with speeds up to DDR4-2667 MHz (native). Intel X299 has full support for CPU overclocking which is a bonus. 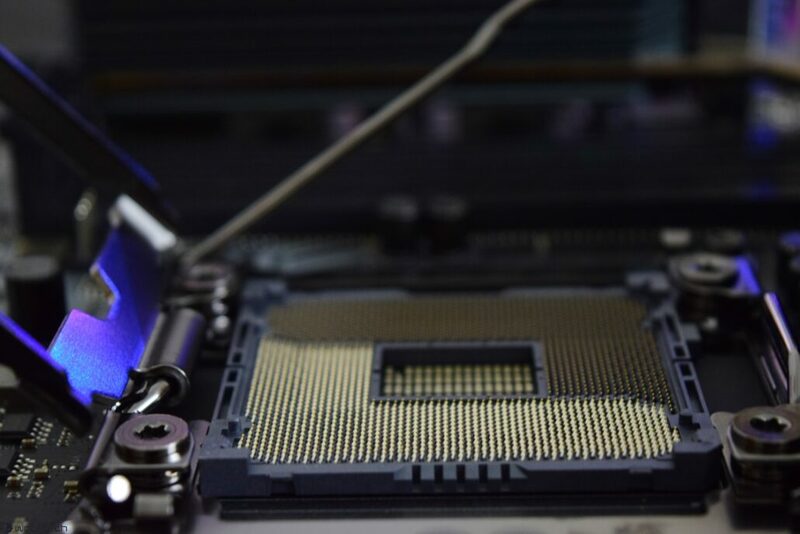 While that’s a plus, independent testings performed prior to our review revealed that the chips don’t feature in chip soldering and use thermal paste as a layer that connects the die with the heat spreader. This may result in higher temperatures but we have to find that our in our own tests. The Basin Falls PCH also offers a maximum of 14 USB ports (10 USB 3.0 Max), 8 SATA 3.0, and Intel LAN (Jacksonville PHY) controllers. The chipset can also drive three M.2 drives with Intel RST tech. Additional features include Enhanced SPI, SPI, LPC, SMBus and HD audio which are integrated underneath its hood. On the socket front, Intel has finally replaced the older LGA 2011 with LGA 2066. The LGA 2011 saw several revisions as it was first featured on the X79 platform and slightly redesigned for X99 in the form of LGA 2011-v3. Enthusiasts running older HEDT Intel platforms cannot use an older processor on the new platform and would have to purchase a new one to allow compatibility. 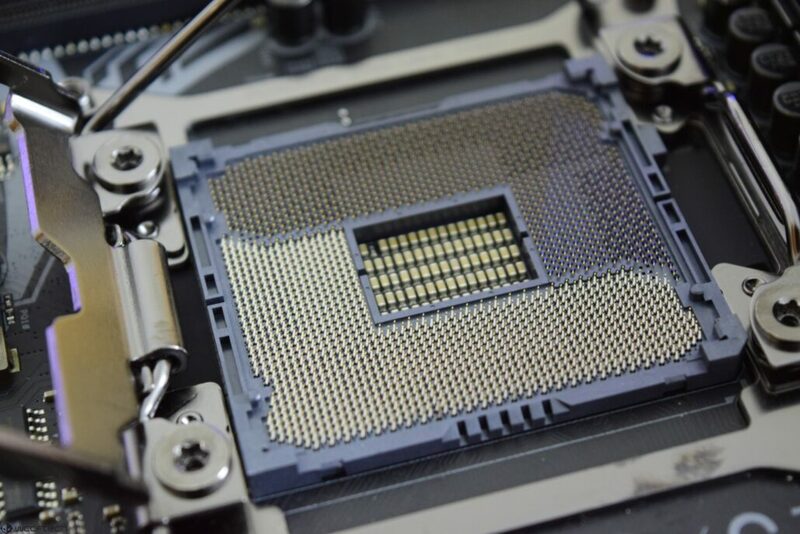 Since the change in the number of pins is smaller, the socket remains as the same dimensions as the LGA 2011 and LGA 2011-v3 socket. This means that users can equip their older retention brackets from LGA 2011 socket coolers on the LGA 2066 socket with ease. The process remains largely the same. On the cooler front, while Intel hasn’t historically offered any cooling solution on their HEDT CPUs, they do provide their own boxed solutions for users that are interested at a price ranging between $85-$100 US. The said cooler is Intel’s TS13X which is a liquid cooling solution and termed as a high-performance thermal solution for enthusiasts. The cooler features a 120mm radiator fitted with a 120mm fan that operates at up to 2200 RPM. It’s a nice option but there are plenty more similar or better-priced solutions in the market that are compatible with LGA 2066.